At Annigan Dental, we’re committed to providing patients of all ages with dental care that’s simply exceptional. That’s why Dr. Henry Hsue and the rest of our dedicated team have worked so hard to create a modern, eco-friendly office space that promotes both comfort and advanced treatment. 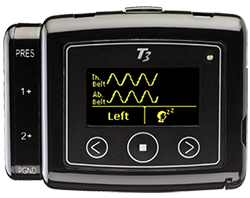 Our technology is state-of-the-art and designed to make your visits smoother, faster, and more accurate. In the past, X-rays had to be developed slowly and tediously with the help of a darkroom and stored in large, inconvenient filing systems. Even worse was the potentially dangerous amount of radiation exposure that patients had to endure. Thankfully, digital X-rays have dramatically transformed this process for the better. When taking digital X-rays, one of our team members will place a small sensor in your mouth that emits only a tiny amount of radiation – up to 90% less than traditional X-rays require. 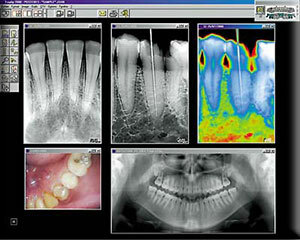 This will create a detailed image of your oral structures that’s instantly visible on a nearby computer monitor for the doctor and you to view. We can rotate it, magnify it, store it in our digital files, easily send it to other practices, and even add color coding so that you can understand what you’re seeing in a much clearer fashion. They’re also much safer for the environment! Did you know that there is a new epidemic of oral cancer developing in young, healthy individuals previously considered to be at a low risk? More than 40% of new oral cancer diagnosed each year is now from young, non-smokers. Of the estimated 45,750 people that will be diagnosed with a form of oral cancer in 2015, an estimated 8,650 people will lose their battle. In fact the mortality rate for oral cancer is higher than most other common cancers such as cervical cancer, Hodgkin's lymphoma, testicular cancer, thyroid cancer and skin cancer. One of the reasons for this is that most oral cancer will only be diagnosed in a later stage when it becomes visible to you or to your doctor. You can now be screened for abnormal tissue at an earlier stage through a revolutionary technology called OralID®. This detection device shines a safe violet light into your mouth that shows potential problem areas that is not visible to the naked eye. When used in conjunction with your normal oral cancer exam, OralID® is extremely helpful and can detect help abnormalities at the deeper parts of oral tissue before they can be seen. This will alert your doctor to any suspicious areas in your mouth that may be developing pre-cancerous cells and allow for early detection and improve treatment outcome. The entire exam only takes about two minutes, so you can have it done with your regularly scheduled checkup appointments without the need to have any additional appointments. Doing tooth colored fillings used to be a difficult, time consuming process that have a high risk of developing sensitivity. Using the latest innovation in sonically-activated composite filling materials, the SonicFill is a powerful system that allows your doctor to thoroughly fill cavities without bubbles or voids in much less time than traditional methods. This means a natural looking, longer lasting filling can now be placed while requiring less time for you to be in the chair. 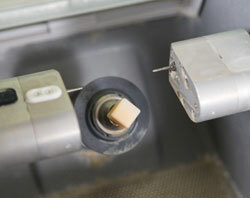 Best of all, the unique physical properties of this filling material will also minimize the risk of sensitivity afterwards. This is truly a revolutionary technology that will improve your experience if you ever need a filling. For those with snoring, grinding, or other types of harmful nighttime activity identifying the problem is the most important step in finding a solution. Here at Annigan Dental we start by taking a thorough medical and dental history to help us identify any potential risk factors that may tip us off to the presence of underlying sleep disorder such as Sleep Apnea. We offer the advanced Nox-T3 Home Sleep Test that allows us to collect important data from the comfort of your own bed. This device will measure and record any grinding activity, breathing discrepancy, blood oxygen level and even record your snoring sounds for analysis. Our partnered medical screening company can help identify and diagnose any abnormalities so we can discuss the appropriate treatment or referral with you. Intraoral cameras, oral cancer screenings, and many other revolutionary tools are also available for patient convenience and satisfaction.Contact Annigan Dental today if you have any questions about our available dental services, or if you’re ready to schedule an appointment for you or a loved one. We can’t wait to give you something to smile about! New patients are also welcomed from the nearby areas of Mill Creek, Kirkland, Woodinville, Kingsgate, Kenmore, Lake Forest Park, and beyond. With CEREC, we can design, fabricate, and place a completely customized all-porcelain crown in just a single visit. The traditional process requires at least two appointments, tons of waiting time, and a messy dental impression. 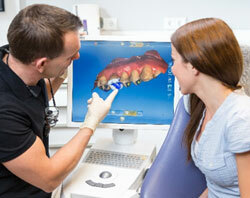 Thanks to CEREC, those are all problems of the past! It uses a 3D scanner to create a fully digital image of your tooth your dentist can use to design your restoration so it will perfectly match your tooth color and fit comfortably in your mouth. This design is then given to our in-house milling machine which will sculpt your crown out of a block of pure dental porcelain. The scanner is able to create a model of your teeth that is much more detailed and accurate than a traditional physical impression. In addition to helping us make high-quality crowns, it can also help us create nightguards, dentures, Invisalign trays, and other oral appliances so that they are both more comfortable and effective.